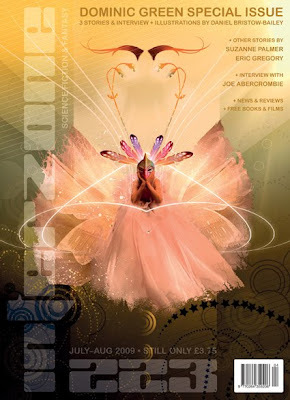 Following on from the Chris Beckett special a few issues back, issue #223 of ‘Interzone’ focuses on long-serving contributor Dominic Green. He features in the editorial, an interview and bibliography along with three of his stories. I think this is a nice feature, focusing on authors who have become a part of ‘Interzone’ history and I hope to see others featured in the future.